Working in unison with HP MSM access points, the HP MSM Controller Series delivers high-performance networking solutions. The enhanced architecture scales to 802.11n without requiring controller replacement. Robust identity- and roles-based user account profiles, as well as Virtual Service Communities (VSCs) with independently configurable Quality of Service (QoS), authentication, encryption, and VLAN support, deliver intelligence to the network edge. Scalable from small to larger deployments, the MSM wireless controllers support a fast-roaming capability. Wireless security is comprehensive with support for internal and external authentication, authorization, and accounting (AAA) servers, built-in stateful firewall, per-user VLAN mapping, and authentication. - Automated work flows: Initial controller settings: define basic operational settings for the controller, including network connections, security settings, and system time. Wireless network for employees: enables setup of a new wireless network for employees, including network and security settings. Wireless network for guests: provides wireless access for guest users, including network and security settings specific to guest access. - High-performance processor system: MSM720: Freescale Dual Core 800MHZ P1020 Processor with a 256 KB cache in an appliance designed for 10 to 40 APs . MSM760: Intel® Core™ 2 Duo Processor E6400 with 2.13 GHz and 2 MB cache in an appliance designed for larger environments. MSM765 zl: Intel Core 2 Duo Processor T7500 with 2.2 GHz and 4 MB cache in a single-switch slot designed for larger chassis-based environments. 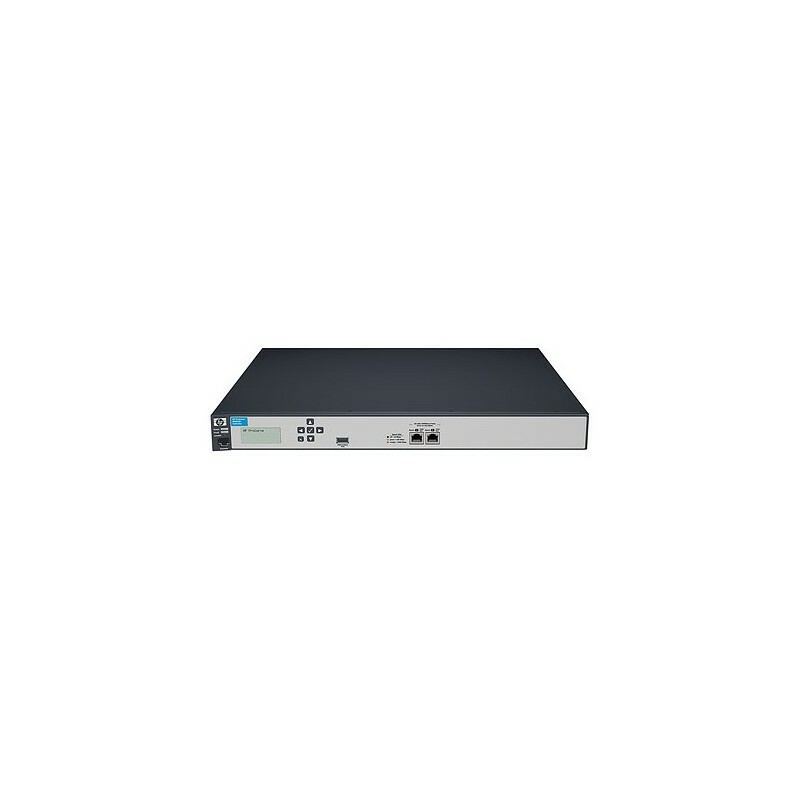 - Premium Mobility Scalability Features: Virtual controller: allows you to configure a team of up to 800 APs and up to five controllers (MSM76x) or 40 APs across two controllers (MSM720) managed via a single IP address. N+1 redundancy: teaming provides N+1 redundancy . Seamless failover: APs can fail-over without rebooting, which preserves network mobility services for wireless clients when the client traffic is bridged locally at the AP. 64 VSC profiles: up to 64 profiles can be defined. Rack mounting Mounts in an EIA-standard 19 in. telco rack or equipment cabinet (hardware included); horizontal surface mounting only.